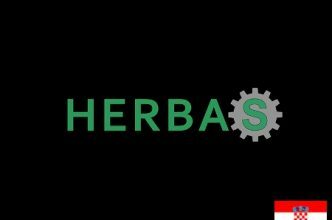 The company HERBAS doo is engaged in the production of agricultural machinery and process equipment for industry, tobacco processing, medicinal plant processing, food industry, cement and quarry. Our machines are located in various reputable companies that are engaged in the production and processing of agricultural crops and are an indispensable part of the production process. If you want to buy machines that can facilitate or increase production, please feel free to contact us and ask for our production program. In the Tobacco Processing Program we produce all process equipment and equip industrial Tobacco Processing Facilities. We cooperate with all reputable manufacturers and processors of tobacco and tobacco products in Croatia. In 2009, for example, we equipped the DUHANKA company in Udbina with a line for tobacco processing and a tobacco bending machine. Plant for processing tobacco CROATIC DUHANI ‘virovitica most of our belt conveyors, roller conveyors, vibrating screens, rotary planetary screening plant and an air filter system in the production companies. We can also boast of a successful cooperation with tobacco companies in the region, such as the ‘Japan Tobacco International’ of Subotica, Serbia and ‘Bosanac dd’, Orasje, Bosnia and Herzegovina. With our technological solutions, we have succeeded in increasing productivity in the facilities of our customers.